C-Reactive Protein (CRP) is a blood test in our basic metabolic lab panel. 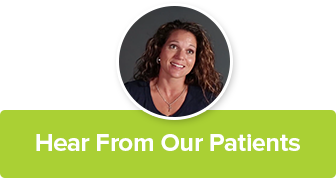 Elevated levels of CRP are very common and most patients in our Tulsa, Oklahoma Functional Medicine Clinic want to know what they can do to reduce it. High sensitivity C-reactive protein (hs-CRP) is an acute-phase protein that increases in response to various inflammatory stimuli (e.g., trauma, infection, arthritis, and surgery). 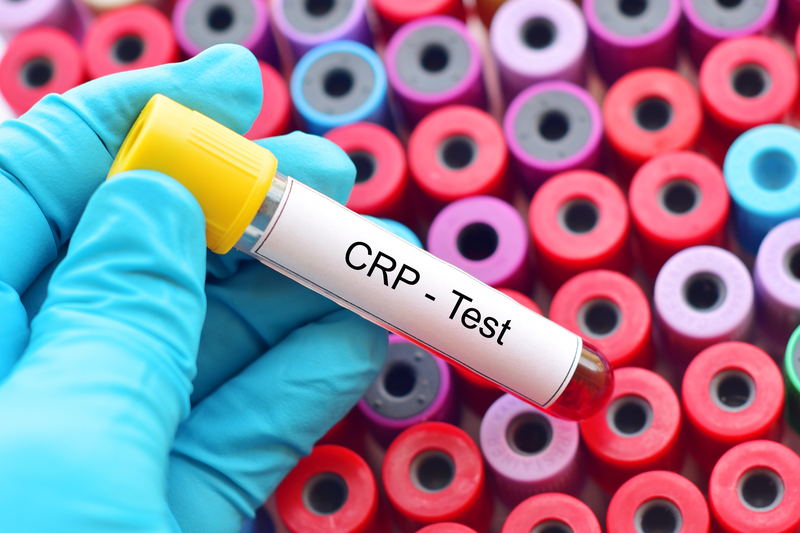 CRP is a nonspecific inflammatory marker. Elevated levels may be caused by any medical condition resulting in inflammation, infection, or primary/secondary tissue injury. Patients with higher hs-CRP concentrations are more likely to develop stroke, myocardial infarction (MI), and severe peripheral vascular disease. Atherosclerosis is essentially a disease of chronic inflammation in the blood vessel. Arterial damage triggered by factors such as accumulated low-density lipoprotein (LDL), oxidative stress, hyperhomocysteinemia, and hypertension can lead to an inflammatory response. This inflammatory response results in endothelial cell activation, a condition in which endothelial cells begin secreting increased amounts of proinflammatory chemicals such as vascular cell adhesion molecule 1 (VCAM-1) and monocyte chemoattractant protein 1 (MCP-1). This causes immune cells and smooth muscle cells to migrate to inflamed areas and increase in number. Endothelial cell expression of macrophage colony stimulating factor (M-CSF) further contributes to atherogenesis by promoting the conversion of monocytes into macrophages in the areas of this inflammation. The macrophages end up becoming foam cells after expressing scavenger receptors that allow them to engulf and modify lipoproteins. In turn, foam cells secrete additional inflammatory mediators that amplify inflammation in the vessel wall and weaken the protective fibrous cap of atherosclerotic plaque. There is a pathway of inflammation that results in higher concentrations of various markers in peripheral blood.3 Systemic or local inflammation in blood vessels or tissue likely results in production of multipotent, primarily proinflammatory cytokines capable of inducing endothelial and other cells to produce adhesion molecules, procoagulant factors, and other mediators released into the circulation in soluble form. These cytokines also stimulate production of interleukin 6 (IL-6), which stimulates the liver to produce acute-phase proteins, including CRP and serum amyloid A. The large increases in circulating levels of plasma CRP and serum amyloid A indicate major changes in the regulation of these genes as they respond to inflammation. CRP is primarily secreted by the liver. However, it may also be produced by vascular sources, including cells residing in atherosclerotic plaques. The advent of commercially available assays for hs-CRP allowed prompt confirmation of this marker as an independent predictor of future cardiovascular events and stroke in more than 30 diverse population cohorts. Moreover, several studies have now demonstrated the utility of CRP as a therapeutic target for reducing cardiovascular risk. If your CRP result is > 3.0 mg/L, you should re-check it 2-4 weeks later, when you are free of infection or acute illness.1 The lower of the two results should then be used to establish a baseline hs-CRP value. Ridker PM. Cardiology Patient Page. C-reactive protein: a simple test to help predict risk of heart attack and stroke. Circulation 2003;108(12):e81-5. Libby P, Ridker PM. Inflammation and atherosclerosis: role of C-reactive protein in risk assessment. Am J Med 2004;116 Suppl 6A:9S-16S. Ridker PM, Hennekens CH, Buring JE, et al. C-reactive protein and other markers of inflammation in the prediction of cardiovascular disease in women. N Engl J Med 2000;342(12):836-43. Libby P, Ridker PM, Maseri A. Inflammation and atherosclerosis. Circulation 2002;105(9):1135-43. Ridker PM. Clinical application of C-reactive protein for cardiovascular disease detection and prevention. Circulation 2003;107(3):363-9. Pepys MB, Hirschfield GM. C-reactive protein: a critical update. J Clin Invest 2003;111(12):1805-12. Burgess LJ, Sulzer NU, Doubell AF. Primary prevention of atherosclerotic vascular disease. SA Pharmaceutical Journal 2006;74(7):12-7. Ridker PM, Rifai N, Rose L, et al. Comparison of C-reactive protein and low-density lipoprotein cholesterol levels in the prediction of first cardiovascular events. N Engl J Med 2002;347(20):1557-65. Ridker PM, Glynn RJ, Hennekens CH. C-reactive protein adds to the predictive value of total and HDL cholesterol in determining risk of first myocardial infarction. Circulation 1998;97(20):2007-11. Ridker PM, Buring JE, Cook NR, et al. C-reactive protein, the metabolic syndrome, and risk of incident cardiovascular events: an 8-year follow-up of 14 719 initially healthy American women. Circulation 2003;107(3):391-7. Koenig W, Sund M, Frohlich M, et al. C-Reactive protein, a sensitive marker of inflammation, predicts future risk of coronary heart disease in initially healthy middle-aged men: results from the MONICA (Monitoring Trends and Determinants in Cardiovascular Disease) Augsburg Cohort Study, 1984 to 1992. Circulation 1999;99(2):237-42. Koenig W, Lowel H, Baumert J, et al. C-reactive protein modulates risk prediction based on the Framingham Score: implications for future risk assessment: results from a large cohort study in southern Germany. Circulation 2004;109(11):1349-53. Ford ES, Giles WH. Serum C-reactive protein and self-reported stroke: findings from the Third National Health and Nutrition Examination Survey. Arterioscler Thromb Vasc Biol 2000;20(4):1052-6. Ballantyne CM, Hoogeveen RC, Bang H, et al. Lipoprotein-associated phospholipase A2, high-sensitivity C-reactive protein, and risk for incident coronary heart disease in middle-aged men and women in the Atherosclerosis Risk in Communities (ARIC) study. Circulation 2004;109(7):837-42. Boekholdt SM, Hack CE, Sandhu MS, et al. C-reactive protein levels and coronary artery disease incidence and mortality in apparently healthy men and women: the EPIC-Norfolk prospective population study 1993-2003. Atherosclerosis 2006;187(2):415-22. Pai JK, Pischon T, Ma J, et al. Inflammatory markers and the risk of coronary heart disease in men and women. N Engl J Med 2004;351(25):2599-610. Danesh J, Whincup P, Walker M, et al. Low grade inflammation and coronary heart disease: prospective study and updated metaanalyses. BMJ 2000;321(7255):199-204. Danesh J, Wheeler JG, Hirschfield GM, et al. C-reactive protein and other circulating markers of inflammation in the prediction of coronary heart disease. N Engl J Med 2004;350(14):1387-97. Curb JD, Abbott RD, Rodriguez BL, et al. C-reactive protein and the future risk of thromboembolic stroke in healthy men. Circulation 2003;107(15):2016-20. Cushman M, Arnold AM, Psaty BM, et al. C-reactive protein and the 10-year incidence of coronary heart disease in older men and women: the cardiovascular health study. Circulation 2005;112(1):25-31. Best LG, Zhang Y, Lee ET, et al. C-reactive protein as a predictor of cardiovascular risk in a population with a high prevalence of diabetes: the Strong Heart Study. Circulation 2005;112(9):1289-95. Laaksonen DE, Niskanen L, Nyyssonen K, et al. C-reactive protein in the prediction of cardiovascular and overall mortality in middle-aged men: a population-based cohort study. Eur Heart J 2005;26(17):1783-9. Everett BM, Kurth T, Buring JE, et al. The relative strength of C-reactive protein and lipid levels as determinants of ischemic stroke compared with coronary heart disease in women. J Am Coll Cardiol 2006;48(11):2235-42. Wilson PW, Pencina M, Jacques P, et al. C-reactive protein and reclassification of cardiovascular risk in the Framingham Heart Study. Circ Cardiovasc Qual Outcomes 2008;1(2):92-7. Rost NS, Wolf PA, Kase CS, et al. Plasma concentration of C-reactive protein and risk of ischemic stroke and transient ischemic attack: the Framingham study. Stroke 2001;32(11):2575-9. Ridker PM, Danielson E, Fonseca FA, et al. Rosuvastatin to prevent vascular events in men and women with elevated C-reactive protein. New England Journal of Medicine 2008;359(21):2195-207. Ridker PM, Cannon CP, Morrow D, et al. C-reactive protein levels and outcomes after statin therapy. N Engl J Med 2005;352(1):20-8. Morrow DA, de Lemos JA, Sabatine MS, et al. Clinical relevance of C-reactive protein during follow-up of patients with acute coronary syndromes in the Aggrastat-to-Zocor Trial. Circulation 2006;114(4):281-8. Nissen SE, Tuzcu EM, Schoenhagen P, et al. Statin therapy, LDL cholesterol, C-reactive protein, and coronary artery disease. N Engl J Med 2005;352(1):29-38.